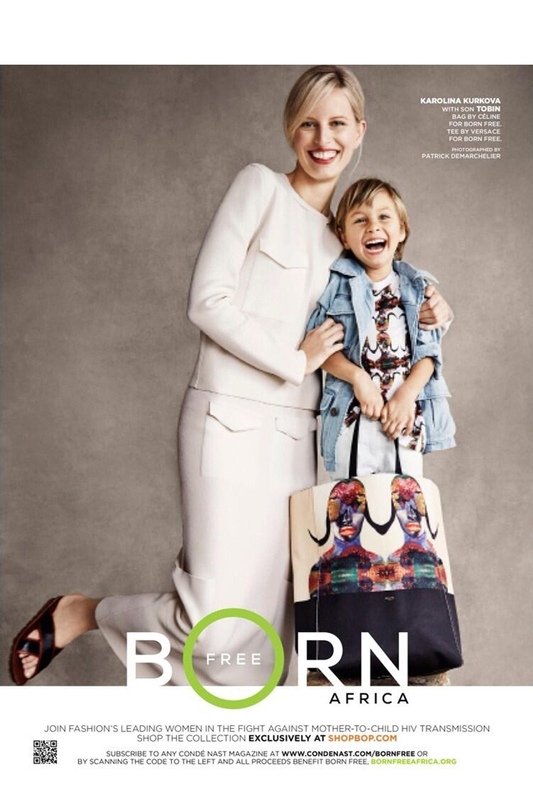 Mother & Child–The nonprofit organization Born Free Africa is launching a collection featuring notable designer names including recent birthday girl Victoria Beckham, Diane von Furstenberg, DKNY and Chloe to name a few, for a selection of pieces to be sold exclusively on Shopbop. 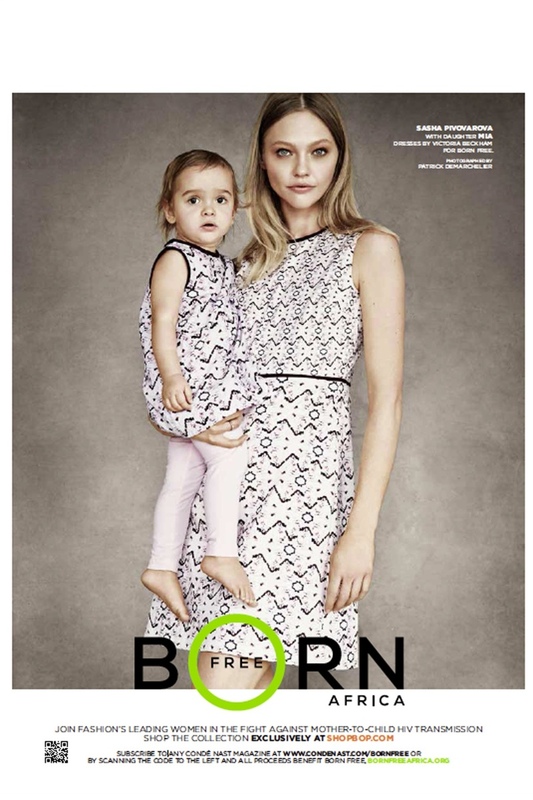 These campaign images feature Doutzen Kroes and her son Phyllon, Karolina Kurkova and her son Tobin, and Sasha Pivovarova with her daughter Mia in matching designs. Appropriate since the foundation aims to end of HIV from mothers to their children in Africa by December 31st, 2015. Sasha and Karolina wear Victoria Beckham while Doutzen models Chloe and Tory by Tory Burch photographed by the renowned Patrick Demarchelier. The full lineup launches on April 23rd.